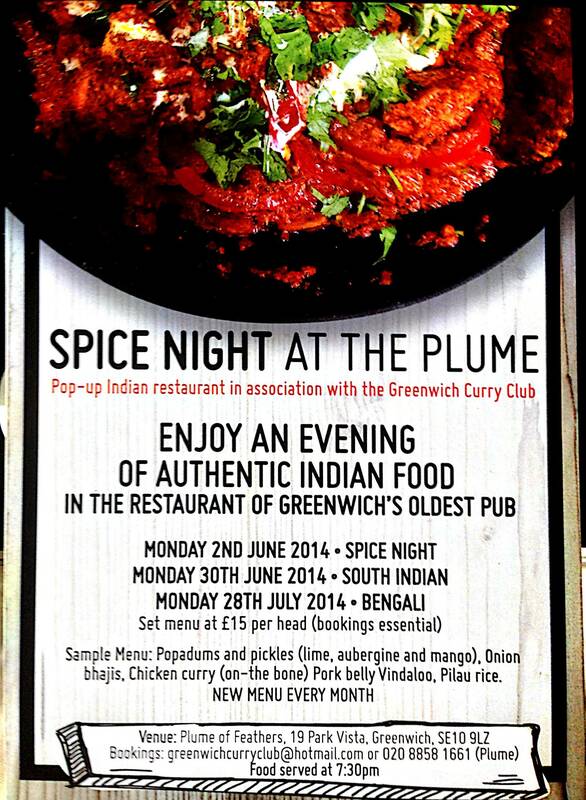 Spice Night at the Plume on Monday 28th July will spotlight Bengali food. The set menu, served at 7.30pm is available at just £15 per head. Advance bookings are essential as the event is always fully booked.